Featuring a 150mm primary mirror with a focal length of 750mm, you'll be able to easily observe detailed lunar and planetary views. Its light gathering ability will also reveal deep-sky objects such as nebulae. Alternate between the two eyepieces provided with this scope to find the best views. 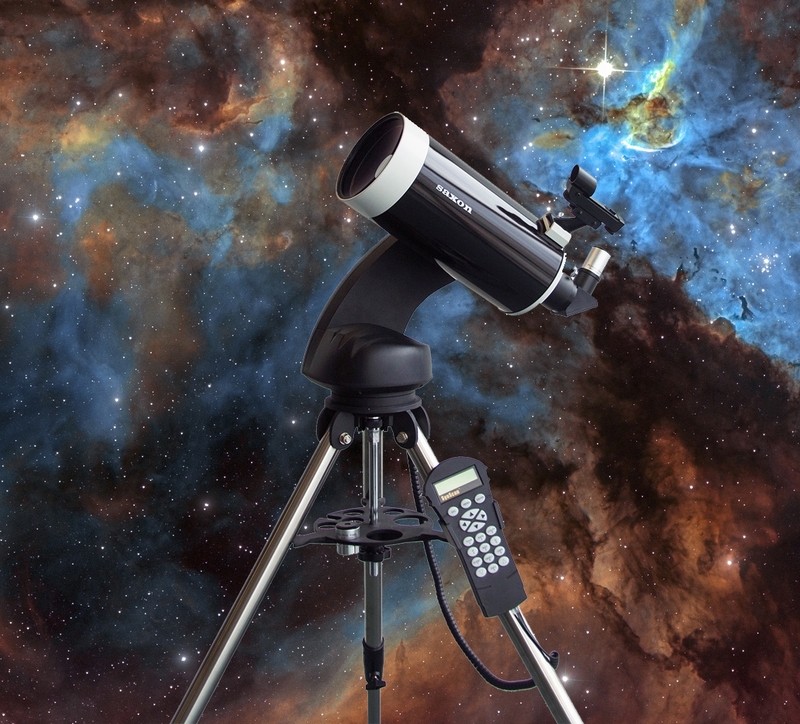 Enjoy a stable viewing experience with the scope's sturdy Star Discovery mount with full computerized, auto tracking and adjustable steel tripod, which allows for easy adjustments when viewing your intended sky object. The portable saxon AstroSeeker 15075 Reflector Telescope ﻿weighs just under 10 kg, making it a great addition to your stargazing journey.